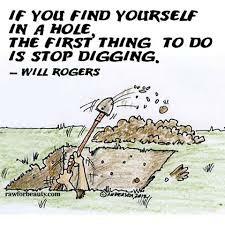 When you find yourself in a hole, please stop digging. 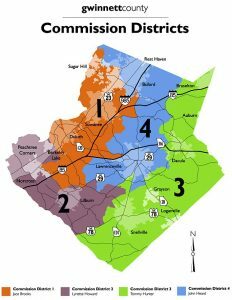 Some months back I penned a piece about my new home county becoming ground zero for the Post-Trump era. Unfortunately I find the saga of Commissioner Tommy Hunter continues this morning as I read the Atlanta Journal & Constitution. The AJC has brought to light the grating words of my commissioner’s attorney in a request for an evasion of an Ethics Panel. The particularly troubling part is the misappropriation of terms referring to “political lynching”. Lynching has a long and sordid history here, God help us, as my home rests in the same town that once was the home of the Grand Dragon of the KKK. The spate of images the term lynching brings up does not lend any help to a man who referred to a Civil Rights icon as a “racist pig”. Generally one wishes to avoid those images being associated with their name, but in the post-Trump era, now white, property-owning men are now the victims of racism.